As you probably know, the Charleston County election for the Town of Seabrook Island will take place on November 7, 2017. 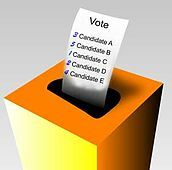 Several people will be running for Mayor, Town Council, and the Seabrook Island Utility Commission. Voting will take place at the Property Owners Lake House. If you are a registered voter in the Town of Seabrook Island, you may also want information on absentee voting. If you qualify and want to receive an absentee ballot, please click here to look at the Charleston County Board of Elections and Voter Registration website and request a ballot.